I received an email requesting an interview on Holy Land pilgrimages. It was from Fox News. I agreed and the following article is the result. 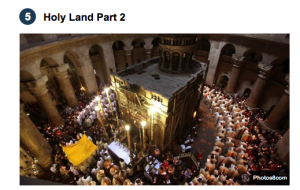 During the holidays, thoughts turn to the Holy Land as the center of Christian and Judaic history. With so many preserved relics of Jesus, Mary, Joseph and the apostles and sites dating back to the Old Testament, traveling to the Holy Land this time of year is a wonderful way to recapture the meaning and spirit of the season. 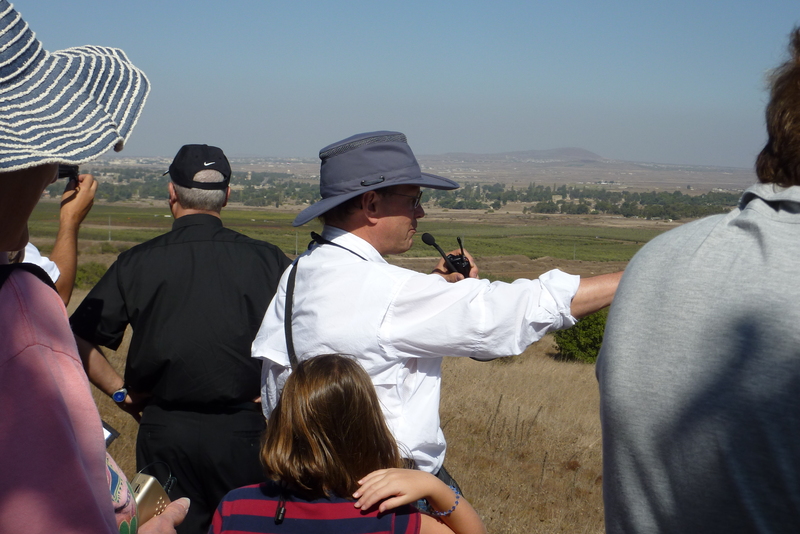 While there are many companies and tours available for seeing the traditional sites, we found several that offer a perspective different from the standard journey to Israel. Here are some distinctive Holy Land tours that let you do everything from biking to bird watching to traveling with a celebrity. For those who’ve already traveled to the Holy Land, Footprints of God Pilgrimages has a 10-day trip designed to give travelers a different experience the second time around. With Catholic tour guides Steve Ray, nicknamed “Jerusalem Jones” and producer of the “Footprints of God” DVD series, and his wife Janet, who’ve been to the Holy Land more than 100 times, travelers on the Holy Land Part 2 Tour see sites different from those featured on the couple’s traditional Holy Land tour. There are more Old Testament sites on the Part 2 journey, as well as many related to the life of Jesus. Highlights include learning to sling a stone where David slew Goliath, climbing Mt. Muhraka, where Elijah called down fire, drinking water from the well in Samaria, as Jesus did, a beer tasting at a Christian brewery and a visit to the authentic baptismal site of Jesus, which was previously closed to the public. Ray likes to focus on getting to know the locals on this trip. “You are visiting the ancient stones, but you should go back and see the ‘living’ stones, too,” he says. The whole article can be read HERE. For more on our pilgrimages visit FootprintsOfGod.com.